ANDERSON, S.C. — A federal judge appointed by then-president Jimmy Carter has rejected a motion by a national humanist organization to block prayers at events in a South Carolina school district, as well as ban the school from holding graduation ceremonies at a local university chapel. 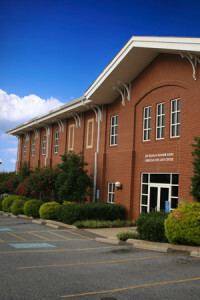 In May of this year, an anonymous couple contacted the AHA to complain that Mountain View Elementary School had held its graduation ceremony at the chapel on the campus of North Greenville University, a Christian institution in Traveler’s Rest. They also cited that prayers had been presented at the event. In response to the complaint, AHA wrote to the Greenville School District, demanding that it change the location for future events and that it discontinue invocations at school ceremonies. However, when the district refused, AHA filed a lawsuit in federal court, requesting an injunction in an attempt to force an end to the practice via court order. On Tuesday, attorney Aaron Kozloski argued that both the venue and the presentation of prayers violated the separation of church and state and the Establishment Clause of the United States Constitution. The school district said that the venue provided a location that could sufficiently hold the crowds that attended the event. In hearing both sides, Anderson expressed his unhappiness with AHA’s legal challenge. “Frankly, I’m very upset with the way you have proceeded with this case,” he stated, according to local television station WLOS. Anderson then denied AHA’s request for an injunction. Kosloski seemed not to be concerned by the denial. But North Greenville University President Jimmy Epting praised Anderson, stating that he made the right choice. While the preliminary injunction was denied, the case will still move forward to trial. Anderson stated that he would like to hear the case sooner than later, noting that the district’s request for 90 days preparation was too long for his personal preference.